Artists are invited to enter into a “Dialogue” with Ibero-American arts and culture for this year’s VIA Arts Prize 2018. The call for entries opens on Wednesday 6 June 2018 and closes on Monday 22 October 2018. Following on from the success of last year’s edition, the theme this year remains “Dialogues”, a theme that remains topical and that embodies the continuity of this London arts prize while promoting a process of intercultural exchange through an engagement with Ibero-American art and cultures. The Prize is open to all UK based artists who submit original visual artworks that are in keeping with the theme and inspired by Ibero-American artistic cultures, including visual arts, literature, music, dance, performance and film. The VIA Arts Prize, held annually at the Embassy of Brazil to the UK, in partnership with ACALASP (the Association of Cultural Attachés of Latin America, Spain and Portugal), People’s Palace Projects from Queen Mary University of London, and sponsored by Itaú, is pleased to now open the call for entries for this year’s prize. The top 30 works will be carefully selected by a curatorial committee and will be exhibited at The Embassy of Brazil for seven weeks. Two winning entries will be chosen from this top 30 by a high profile jury. Thanks to sponsor Itaú the winner will receive £5,000 and the runner-up £2,000. At the end of the seven-week exhibition, a People’s Choice prize will be awarded to the artist whose work has received the greatest number of votes from the visiting public. 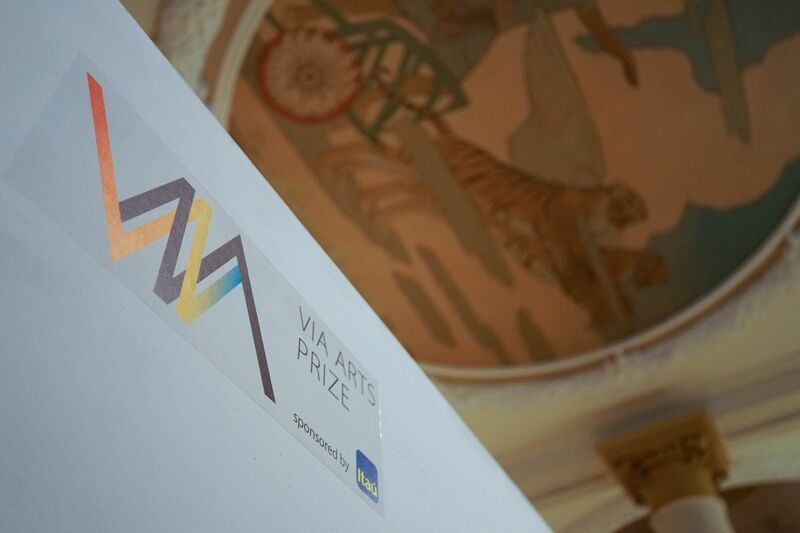 Applicants can submit their work between 12:00 on Wednesday 6 June and 23:59 on Monday 22ndOctober 2018 by filling out the submission form on the website https://www.viaartsprize.org. There are no submission fees.